In the 1950s, Alan Turing dedicated much of his work around machine learning and artificial intelligence. That was nearly 70 years ago. But until today, we’ve resisted the adoption of artificial intelligence, even though it’s been completely possible. Maybe it’s because we’re afraid of artificial intelligence. Or maybe it’s because the ones we’ve made aren’t mature enough to handle the complexity our human needs. Whatever the reason for avoiding artificial intelligence, we’ve overcome it. Chatbots, apps that you interact with via a chat interface, are now among the hottest tech trends of 2017. Here’s why I think it’ll be good for us. 1. Just because there is an “app for that”, doesn’t mean that we’ll use it. Chatbots will help. Here’s the brutal new reality facing the app economy: people are abandoning downloaded apps more than ever. This has led to what can properly be defined as app fatigue. In even the past 5–7 years, users have already grown tired of bouncing between too many apps or learning how to use a new interface after every new download. Furthermore, research firm comScore finds that among mobile users surveyed, most spend 85% of their time using email and messaging apps. One of the primary benefits of chatbots is there is no reason to download a new app for every service. 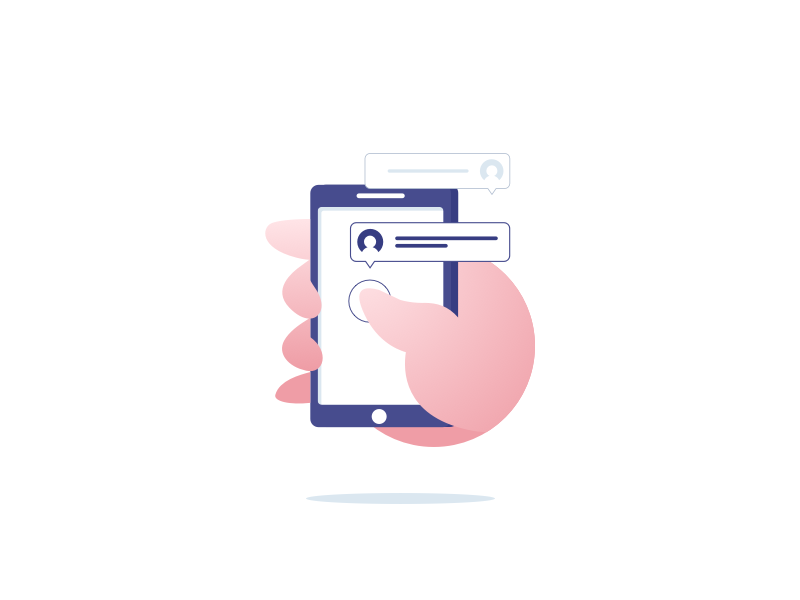 A customer can chat with their friends, order food, get a ride with Uber, and transfer money, all without leaving their favorite messaging app. 2. Chatbots allow us to access all our apps in one program. Collectively, we’re beginning to expect fluidity not just across devices (i.e. my laptop and my phone), but also within apps. To compete in the digital age, brands need build experiences where people are. That place is now inside messenger apps. Messaging apps have become platforms with iMessage, Facebook Messenger, Google Alo, Kik and many other messaging services providing their own app stores. For example, you can now download Evernote for iMessage or shop right inside of Facebook Messenger. 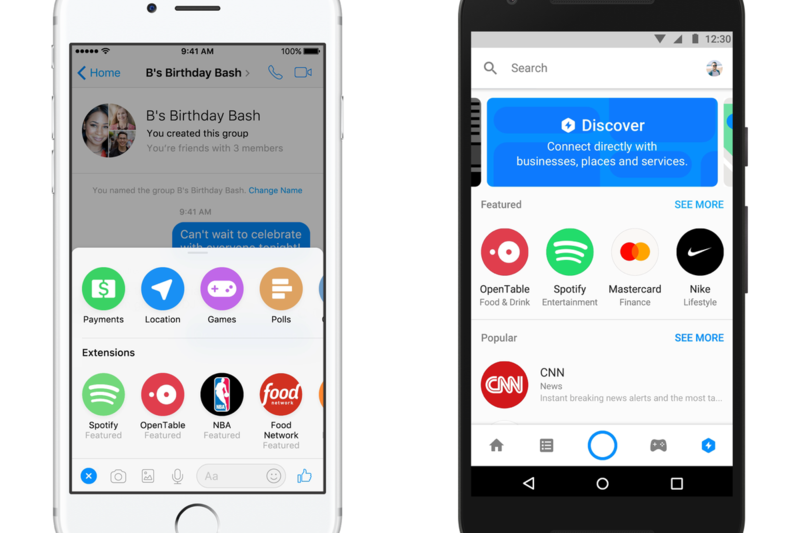 Facebook Messenger now has a discovery tab to help you find new apps to integrate with messenger. We are clearly tired of trying new apps and are getting very comfortable in messaging apps. The fundamental idea is that users will interact with just enough UI to be delighted by a service or product. Anything more feels like a burden. It’s a total paradigm shift in growth and engagement strategies. Why fight for your attention when I can just deliver my product or service where you already are? 3. Chatbots will make apps faster and easier to use. Think of chatbots like virtual butlers, fetching information like weather and news and doing things like scheduling meetings and buying your groceries for you. If the bot doesn’t immediately understand your intent or doesn’t act fast enough, it could be incredibly frustrating. But done properly, our mobile experience has such amazing potential with chatbots. There’s something to be said for accomplishing everything on your phone from one app, especially if it already knows what I want to accomplish. Chatbots, powered by artificial intelligence and machine learning, can do so much more than mobile applications because it can learn our habits, understands our tastes and preferences and can be much more pleasant than a sequence of taps and clicks to get to where I want to go. In fact, so many companies will begin to build chatbots, that it may make apps and even websites completely obsolete over the next few years. Because the front-end is so light-weight and there’s less friction to accessing information, bots will become faster than websites and apps, even customer service call centers. Imagine texting Nike to track your recent sneaker order rather than opening your browser to log in and stumble around the site to find your order history. Or better yet… Nike texting you about shipping updates. Chatbots can create such an intimate, personalized customer experience, that brands that don’t embrace the rise of chatbots might be left behind.